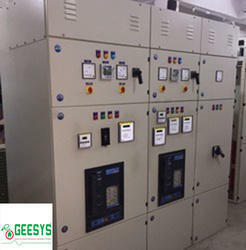 GEESYS Solar PV Substation (CSS) is an integrated power distribution solution ideal for solar power plant developers & EPC players, comes complete with inverters, HT/LT switchboards, transformers and cabling all shipped in a single thermally insulated enclosure. It is designed to deliver superior performance and ensures maximum return on investment. 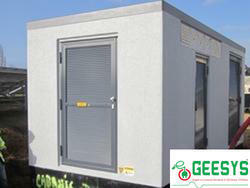 Pre assembled, configured and tested for reduced site installation time. Enriched by our vast industrial experience in this business, we are involved in offering an enormous quality range of Array Junction Box. 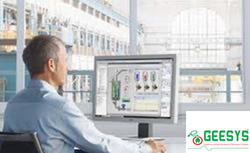 Owing to our in-depth knowledge of this domain, we are specialized in providing HMI Software. Banking on the skills of our qualified team of professionals, we are instrumental in offering supreme quality range of Combiner Box. 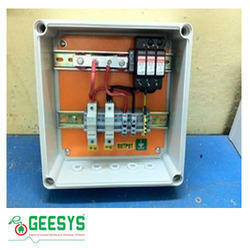 solar junction boxes, Solar Junction Boxes in chennai, Solar Array Junction Boxes, Solar combiner boxes, Solar string combiner boxes, Solar string monitoring system, Solar DCDB, Solar ACDB, solar array junction boxes in chennai, Solar main junction box india, AJB, MJB, Solar String Junction boxes, Distribution Board, Surge protection system, ARRAY Junction Box, Combiner Box, DCDB, ACDB, Solar AJB, String monitoring, Solar PV array junction boxes, combiner junction boxes, Solar precombiner boxes, Solar AJB, Solar MJB, DCDB, ACDB, solar combiners, solar combiner box manufacturers, solar combiner box manufacturers in india, solar combiner boxes, combiner boxes for solar systems, solar panel combiner, solar string combiner box, string box, string combiner box, string boxes, string monitoring box, photovoltaic combiner box, array combiner box, solarbos combiner box, junction box manufacturers, main junction box, fuse junction box, photovoltaic junction box, array junction box, array junction box solar, solar array junction box, solar array junction box manufacturer, solar combiner box with disconnect, solar junction box, solar pv junction box, solar string junction box, string combiner boxes, Array Junction Box, array junction boxes with string monitor, combiner box solar, Solar String Combiner Box, GEESYS Solar String Combiner Box, SOLAR STRING COMBINER BOX in INDIA, SOLAR STRING COMBINER BOX MANUFACTURER in INDIA, SOLAR STRING COMBINER BOX MANUFACTURER IN CHENNAI, Solar AC DISTRIBUTION BOX, SOLAR STRING COMBINER BOX in BANGALORE, SOLAR STRING COMBINER BOX MANUFACTURER in PUNE, SOLAR STRING COMBINER BOX MANUFACTURER IN HYDERABAD, SOLAR DCDB, SOLAR DCDB in CHENNAI, SOLAR DCDB MANUFACTURER in CHENNAI, SOLAR ARRAY JUNCTION BOX MANUFACTURER in CHENNAI, Solar ACDB MANUFACTURER in INDIA, SOLAR COMBINER BOX in INDIA, SOLAR COMBINER BOX MANUFACTURER in INDIA, SOLAR COMBINER BOX MANUFACTURER IN CHENNAI, Solar AC DISTRIBUTION BOX, SOLAR STRING COMBINER BOX in KOLKATA, SOLAR STRING COMBINER BOX MANUFACTURER in AHEMADABAD, SOLAR STRING COMBINER BOX MANUFACTURER IN MUMBAI, SOLAR DCDB, SOLAR DCDB in COIMBATORE, SOLAR DCDB MANUFACTURER in CHENNAI, SOLAR ARRAY JUNCTION BOX MANUFACTURER in INDIA, SOLAR AC COMBINER BOX, SOLAR ACCB, ELECTRICAL LT POWER PANEL, ELECTRICAL LT PANEL IN CHENNAI. In line with clients' diverse requirements across the country, we are offering an enormous range of PCC (Power Control Center) Panel. The offered panel is widely used chemical plants, refineries, dairies, pharmaceuticals, refrigeration plant, plastic and other industries. With the support of our adroit professionals, this panel is manufactured with utmost precision from the cutting edge technology in adherence with the set industry standards. In addition to this, the offered panel is examined against several quality parameters to deliver a hassle free range at our client’s end. 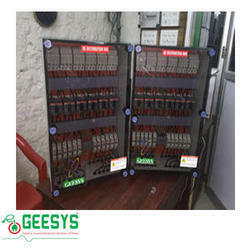 Electrical lt power panel solar string combiner box in india, solar string combiner box preparer in india, solar string combiner box preparer in chennai, solar ac distribution box, solar string combiner box in bangalore, solar string combiner box preparer in pune, solar string combiner box preparer in hyderabad, solar dcdb, solar dcdb in chennai, solar dcdb preparer in chennai, solar array junction box preparer in chennai, solar acdb preparer in india, solar combiner box in india, solar combiner box preparer in india, solar combiner box preparer in chennai, solar ac distribution box, solar string combiner box in kolkata, solar string combiner box preparer in ahemadabad, solar string combiner box preparer in mumbai, solar dcdb, solar dcdb in coimbatore, solar dcdb preparer in chennai, solar array junction box preparer in india, solar ac combiner box, solar accb, electrical lt power panel, electrical lt panel in chennai. 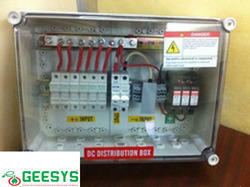 solar acdb preparer in india solar array junction boxes, solar combiner boxes, solar string combiner boxes, solar string monitoring system, solar dcdb, solar acdb, solar array junction box in chennai, solar main junction box india, ajb, mjb, solar string junction boxes, distribution board, array junction box, combiner box, dcdb, acdb, solar ajb, string monitoring, solar pv array junction boxes, combiner junction boxes, solar precombiner boxes, solar ajb, solar mjb, dcdb, acdb, solar combiners, solar combiner box preparers, solar combiner box preparers in india, solar combiner boxes, combiner boxes for solar systems, solar panel combiner, solar string combiner box, string box, string combiner box, string boxes, string monitoring box, photovoltaic combiner box, array combiner box, solarbos combiner box, junction box preparers, main junction box, fuse junction box, photovoltaic junction box, array junction box, array junction box solar, solar array junction box, solar array junction box preparer, solar combiner box with disconnect, solar junction box, solar pv junction box, solar string junction box, string combiner boxes, array junction box, array junction boxes with string monitor, combiner box solar, solar string combiner box, geesys solar string combiner box, solar string combiner box in india, solar string combiner box preparer in india, solar string combiner box preparer in chennai, solar ac distribution box, solar string combiner box in bangalore, solar string combiner box preparer in pune, solar string combiner box preparer in hyderabad, solar dcdb, solar dcdb in chennai, solar dcdb preparer in chennai, solar array junction box preparer in chennai, solar acdb preparer in india, solar combiner box in india, solar combiner box preparer in india, solar combiner box preparer in chennai, solar ac distribution box, solar string combiner box in kolkata, solar string combiner box preparer in ahemadabad, solar string combiner box preparer in mumbai, solar dcdb, solar dcdb in coimbatore, solar dcdb preparer in chennai, solar array junction box preparer in india, solar ac combiner box, solar accb, electrical lt power panel, electrical lt panel in chennai.